(MOJAVE AIRPORT) A deadly explosion at the test site of a pioneering company building commercial spaceships has cast light on inherent dangers in rocketry that have been overshadowed by public enthusiasm for the adventure of space tourism. The accident, which killed three people, came nearly two years after Scaled Composites LLC first began designing its top-secret suborbital spaceship for British tycoon Richard Branson, who hopes to fly tourists by 2009. Scaled, headed by aviation legend Burt Rutan, is best known for its 2004 launch of SpaceShipOne, the first privately developed manned rocket to reach space. The tragedy stunned space tourism supporters, many of whom were betting that Branson's Virgin Galactic spaceline would be the first in the fledgling business to send well-heeled tourists out of the atmosphere. (PHOENIX) Two news helicopters collided and crashed Friday while covering a police chase on live television, killing four people on board. Both helicopters went down in a park in central Phoenix and caught fire. No one on the ground was hurt. 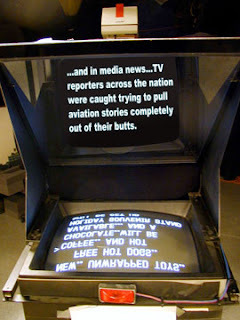 TV viewers did not actually witness the accident because cameras aboard both aircraft were pointed at the ground. But they saw images from one of the helicopters break up and begin to spin before the station abruptly switched to the studio. Within a minute, other stations with helicopters in the area began reporting news of the crash. At least twice, astronauts were allowed to fly after flight surgeons and other astronauts warned they were so drunk they posed a flight-safety risk, an aviation weekly reported Thursday, citing a special panel studying astronaut health. The independent panel also found “heavy use of alcohol” before launch that was within the standard 12-hour “bottle-to-throttle” rule, according to Aviation Week & Space Technology, which reported the finding on its Web site. A NASA official confirmed that the health report contains claims of alcohol use by astronauts before launch, but said the information is based on anonymous interviews and is unsubstantiated. Frankly, I find that so hard to believe. Yes, maybe I can believe a couple of worn out freighter pilots stuck somewhere out in the hinterlands, when bored stiff, might chug some beer before flying checks over to the next county. So the idea that the best of the best of the best – NASA astronauts – would allow one of their own to get bombed inside the twelve-hour "bottle to throttle" rule is insane. The last 24 hours before liftoff, these proud men and women who fly our space ships are under a microscope – everybody knows that – and are being poked and prodded like lab mice under the watchful eyes of a whole slew of NASA technicians. So now the media really wants the public to think that despite all that, some of these astronauts were knocking back shots of Tequila while flight planning their mission. Uh huh. My condolences go out to the families of those who were lost this week in these tragic accidents in Arizona and California. It's just a shame that the blood-thirsty media couldn't have left bad enough alone without digging up this pathetic drunk astronaut story.